In 1997, we set out to pave a new name in the transportation game. 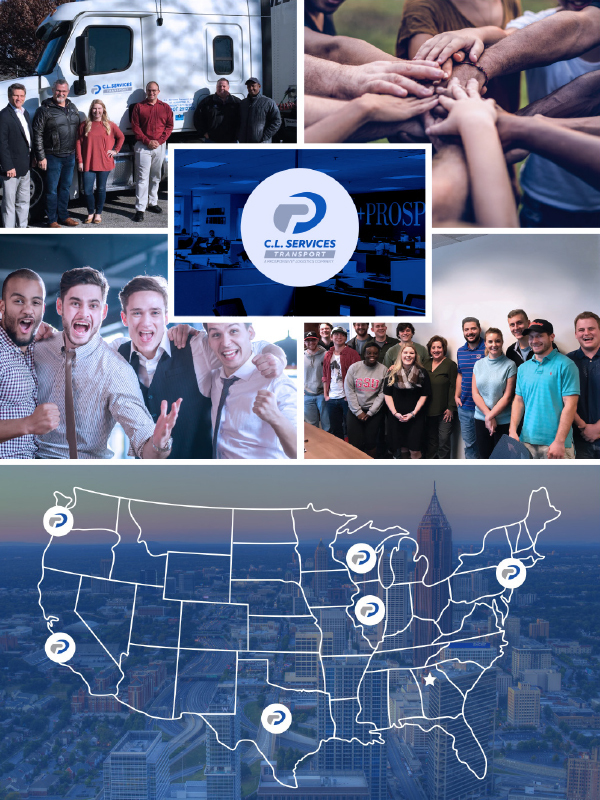 Our initial goal was to give shippers and carriers a freight brokerage service that uniquely combines the personal attention provided by a smaller brokerage with the technology and capacity of a large-scale freight management company. Today, C.L. Services continues to provide trusted transportation, while developing meaningful relationships with our carriers and customers along the way. C.L. Services, Inc. is under the umbrella of The Prosponsive® Logistics Group. PLG has two sides: a brokerage arm and an asset division controlling its own fleet of trucks. Together, we are a nationwide transportation provider servicing all domestic freight in the U.S., Canada, and Mexico. Our dependability, consistency, and proactive communication are the hallmarks of our company and we operate with the specific needs of our customers at the forefront. We stand by the Prosponsive® Promise: To proactively respond and communicate quickly and honestly with all of our clients and vendors. SmartWay Certified: 609 of the approximately 16,700 brokers in the USA are SW certified. That makes us part of the 3.65% of brokers who are SW certified and we have been continuously since 2009, when we were part of the less than 1% SmartWay certified at that time. C.L. Services, Inc. receives phone, fax, email, EDI order, or customer entry portal . Human touch and technology work together to verify consistent tracking of load until delivery confirmation. Once delivered, load is released to billing. Details are captured for tracking from pickup to delivery and customer self-service portal or 214 EDI updates. Customer Portal: Invoicing is initiated and delivered via eco-friendly EDI, ACH, email, or via paper invoices. Carrier is delivered full shipping and delivery instructions after compliance confirmation is received. Our entrusted employees maintain full visibility and control through the entire process.